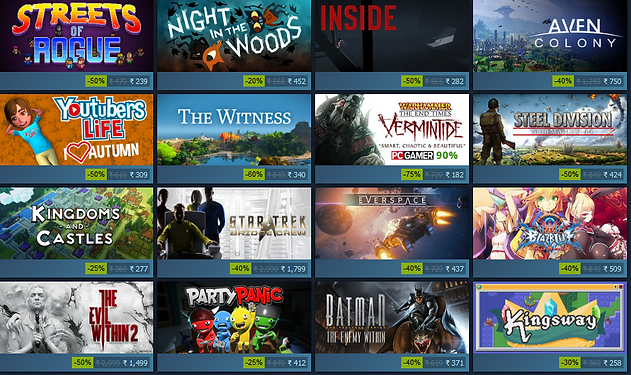 Steam’s 2017 Autumn Sale is now underway all through next Tuesday, Nov. 28. It packs the usual heavy discounts on more than 5,000 titles, encapsulating some of the biggest franchises in PC gaming. A large number of top tier titles are up for grabs this week and with such a vast array of choices, some players are naturally gonna feel a tad bit overwhelmed. But fear not fellow solider as we’re here to provide some great tips on sorting though the masses as well as a decent helping of standout products from mainstream franchises to unknown indies. From the demented and brilliant mind of Yoko Taro comes one of the best games of the year with beautiful visuals, a heart-wrenching tale, a brilliant soundtrack and high octane action compliments of Platinum Games, Automata delivers everything and more in this surreal and enchanting experience. Providing a mishmash of genres and anime tropes turned up to eleven, the first game in the Danganronpa franchise introduces us to the crazy yet thrilling world of Hope’s Peak Academy where 16 students are trapped with the only means of escape being to murder a fellow classmate. With a host of quirky characters, an engrossing story and insane mysteries to solve with the series signature logic based gameplay, this game offers a unique and exciting adventure for those willing to dive in. 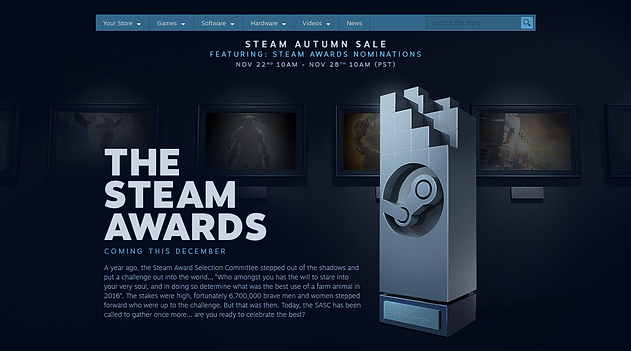 And last but not least making a return from last year, we have ‘The Steam Awards’ where players will be given the opportunity to vote for their favorite games in a number of odd and delightful categories such as The “Mom’s Spaghetti” Award and The “Whoooaaaaaaa, Dude! 2.0” Award. Voting also comes with a reward of its own in the from of limited badge and those sweet sweet experience points. Once your done here, you can head on over to steam to make your choices or check out other happenings in Gaming right here while you deliberate.